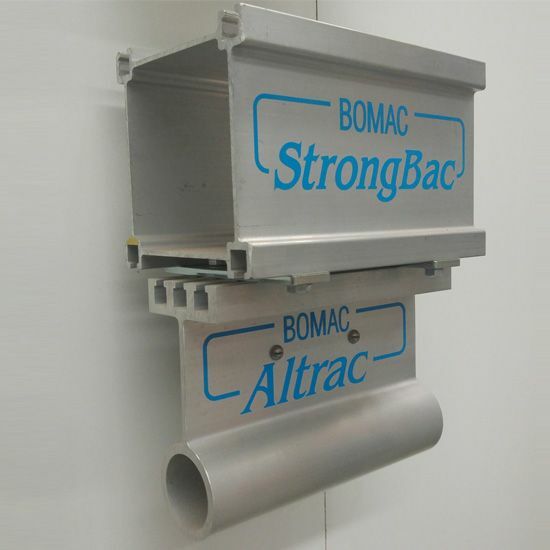 StrongBac in conjunction with Altrac makes for an even stronger system. 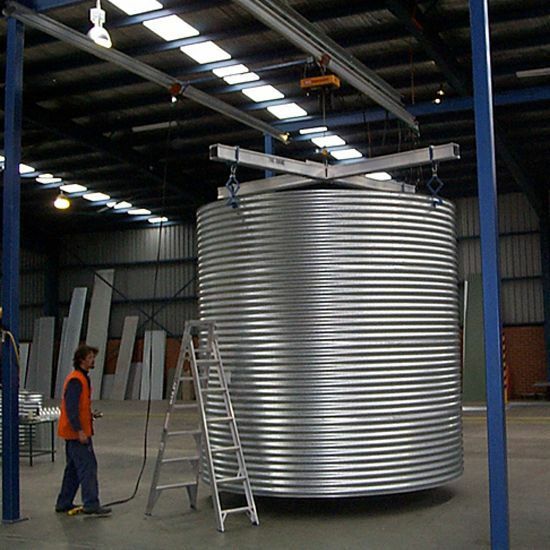 It allows your Altrac investment to grow in capacity should your business expand. 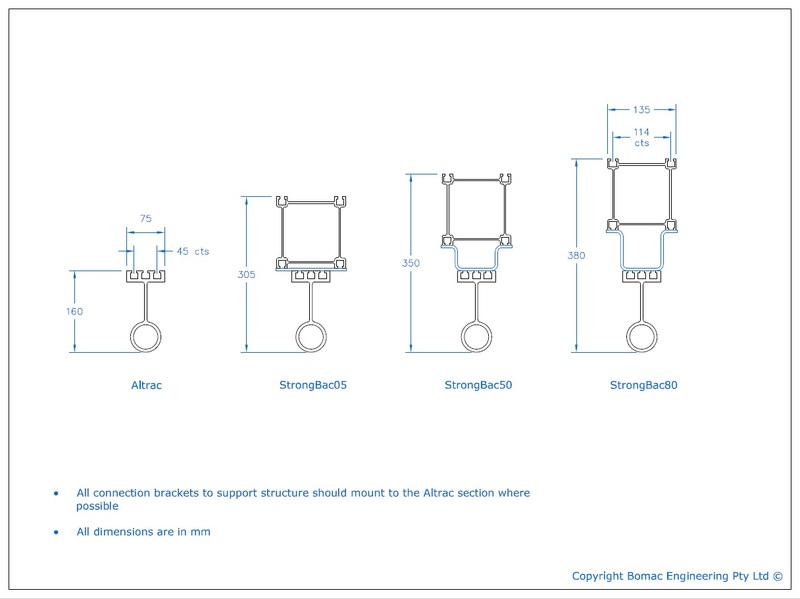 The resulting increase in section properties allows systems to be upgraded from 125kg to 1000kg and/or span capacities to be doubled. 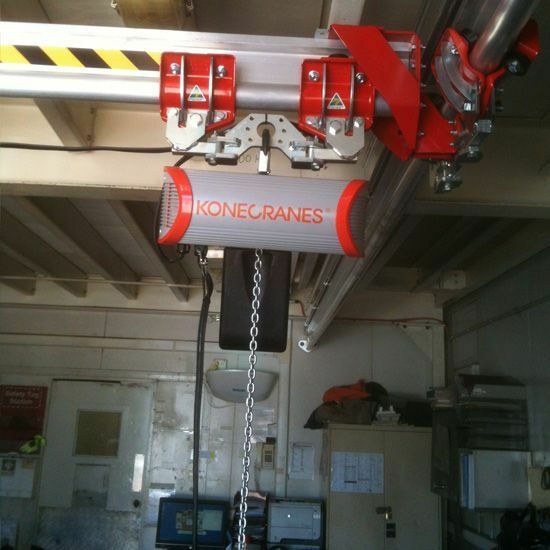 The system can be retro-fitted, compare this to other cranes and height safety systems that require existing systems be completely dismantled and replaced by new. 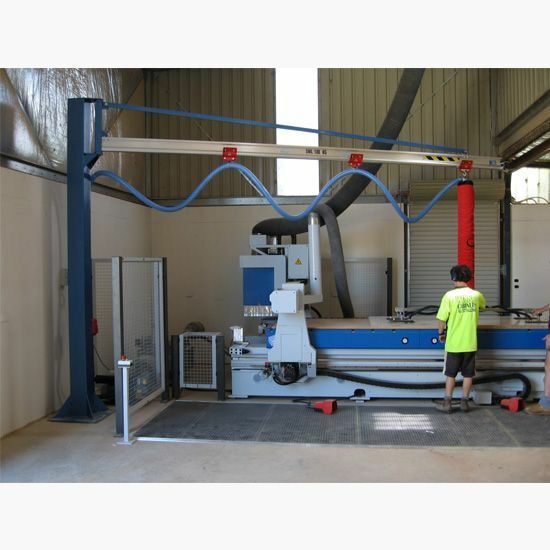 This extended capacity minimises disruption and allows major savings in both time and money. 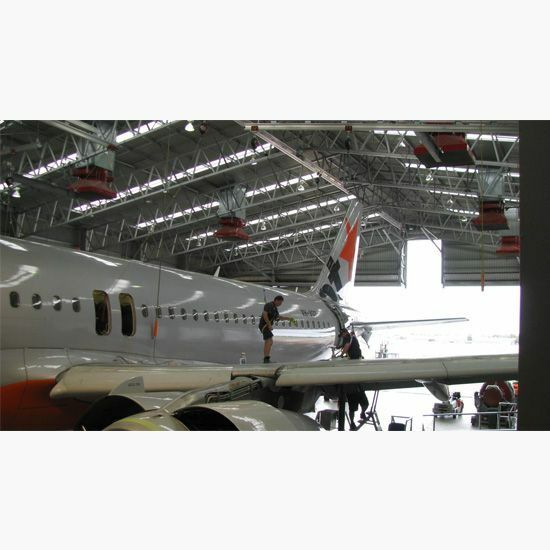 The additional profile comes in three main configurations and may be added at any time. 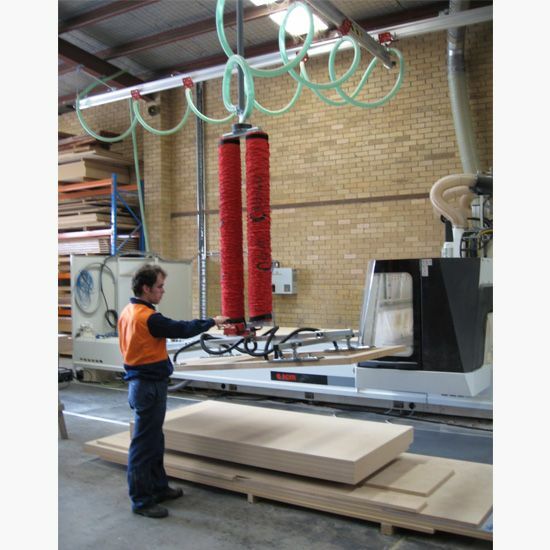 Developed, designed and made in Australia, StrongBac is built to meet the requirements of Australian customers and Australian standards. 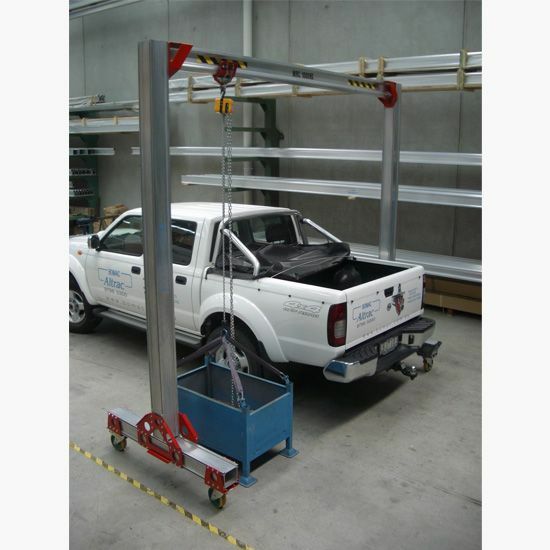 Increases Strength - StrongBac can upgrade capacity from 125kg to 1000kg with a simple addition to the system. 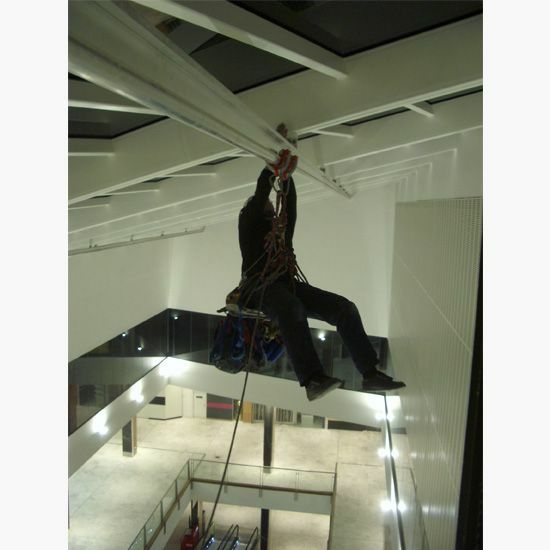 Span dimensions can be substantially increased with the addition of StrongBac for both crane and fall arrest systems. 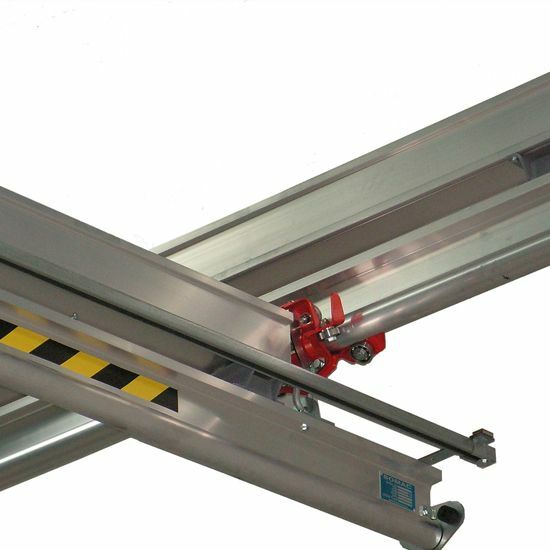 StrongBac can be installed in three configurations to allow appropriate capacity. StrongBac at less than 6kg/m has minimal impact on system mass. 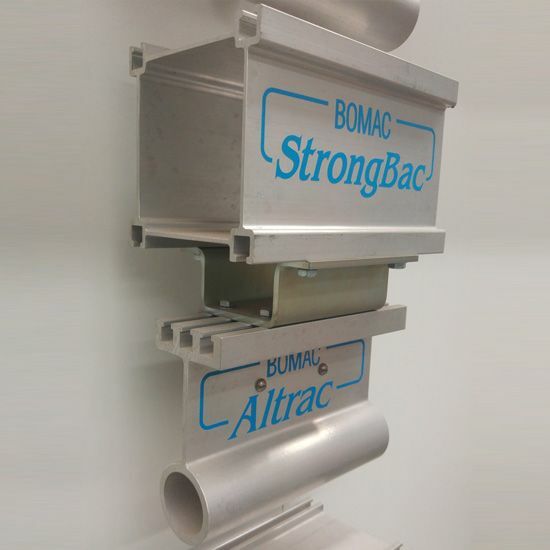 StrongBac can be retro fitted to existing systems and with StrongBac it is just a simple addition that may be installed in situ.